Daily: $20 includes hookup. Weekly: $120 includes hookup. Monthly:$175-200 plus utilities. We have a pool and hot tub. Wireless internet and television (with cable and satellite) are available in the clubhouse. There are no phone hookups available at the sites, but you can borrow our telephone. 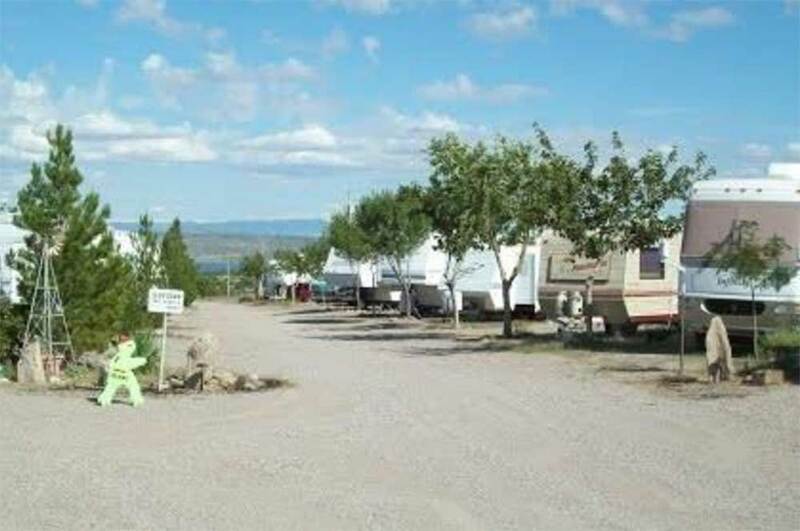 We’re the only privately-owned RV Park with a view of the lake in Elephant Butte. Directions: We’re located 1 mile east of I-25 on Highway 195. Take exit 83 and look for the sign.